Recently, while Dr. Carl Baugh was on a research trip, questions coming into the Creation Evidence Museum were being forwarded to me. One of them was an excellent letter from a Doctorate in Nuclear Physics. He had asked many pertinent questions which I often hear. So I thought I would post it here for youse guys (that’s Canadian for “y’all”) to enjoy. Dr. Baugh is out of the country currently, and so your recent letter to him was forwarded to me in hopes that I might be able to respond. My name is Ian Juby, I am a consultant of the museum and a friend of Dr. Baugh’s. You asked some excellent, pertinent questions which myself and many others have also asked. As fellow skeptics, Dr. Baugh and I respect such questions, and I am happy to respond. Your first and second question are intimately related, so I will address them both at the same time. You had pointed out that there are no naturally existing long-life isotopes with half lives shorter than 1E9 years. You also enquired about the apparent difference in radiometric “age” between layers that were supposedly laid down by one event, the global flood of Noah. The Creation Evidence Museum is built on the banks of the Paluxy River, which is famous for its “Cretaceous” dinosaur footprints. These are supposed to be ~100 million years old by conventional dating methods. As I’m sure you are already aware, one cannot date sedimentary rock, therefore these ages are relative to other layers which can be dated. However, these layers contain quite a bit of biomatter, such as coalified plants or dinosaur bone, which can be carbon dated. 50,000 “years BP.” Hugh Miller compiled many of these results, and results from multiple samples from literally all over the world, in his article in Creation Research Society Quarterly (Vol 43, No. 2, pg 84, September 2006 “Pioneering 14C Dating of Wyoming Amber and Its Implications for a Young Earth and Global Catastrophism”) I supplied him with some coal samples from the coal beds of Eastern Canada, conventionally dated as carboniferous; I do not know as of yet whether those samples have been tested or not. As part of the RATE study, coal samples were collected by Dr. John Baumgardner (Los Alamos, retired) which all had significant levels of C14 in them. Anything older than 100,000 years old should have no C14 in it. As pointed out by Baumgardner and Dr. Russell Humphreys,(personal communication) they took the coal samples (supposedly millions of years old) and sealed them in a barrel purged with nitrogen to counter any possible contamination. While I am certainly not an expert on such matters, I have never heard of anyone taking such steps to avoid contaminating a sample for C14 dating. But let’s assume that the coal somehow, miraculously, absorbed an equal volume of modern air. This would cause the pMC value to increase by .0001. This cannot account for the pMC values of .2 to .4 that were obtained from this coal. So we have an apparent problem: Many of these layers, or associated layers can be dated using typical rock-dating methods which give “ages” of hundreds of millions, sometimes billions of years – while simultaneously giving Radiocarbon ages of 5,000 to 50,000 years! Which one is correct? 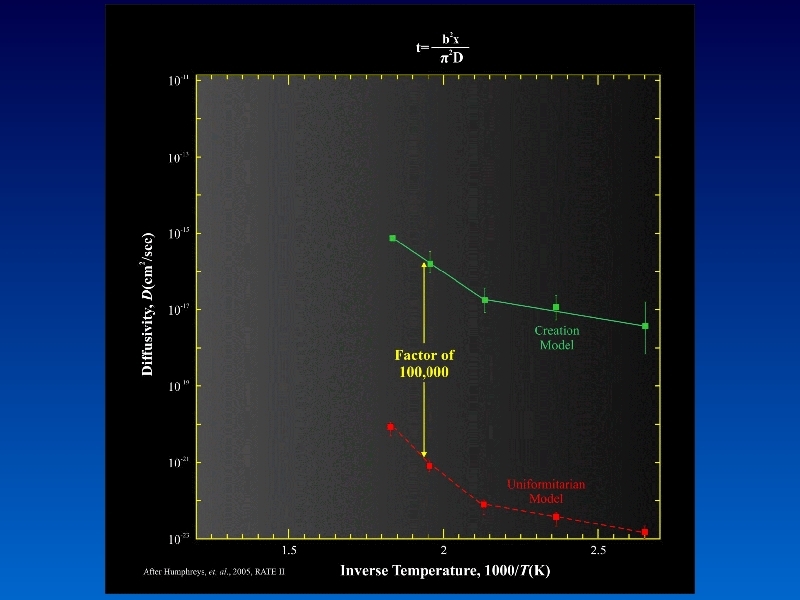 Even C14 dating methods are still founded in untestable assumptions; i.e., the assumption that the C14/C12 ratio in the atmosphere has always been the same. There are many reasons to question the “old ages” (i.e., anything above the half-life of C14, ~5,000 years) of C14 as well. Various radiometric dating tests were performed on two lavas in this area; the Cardena basalt (in the supergroup, lower arrow) and the lava flows on the plateau, which flowed into the canyon. 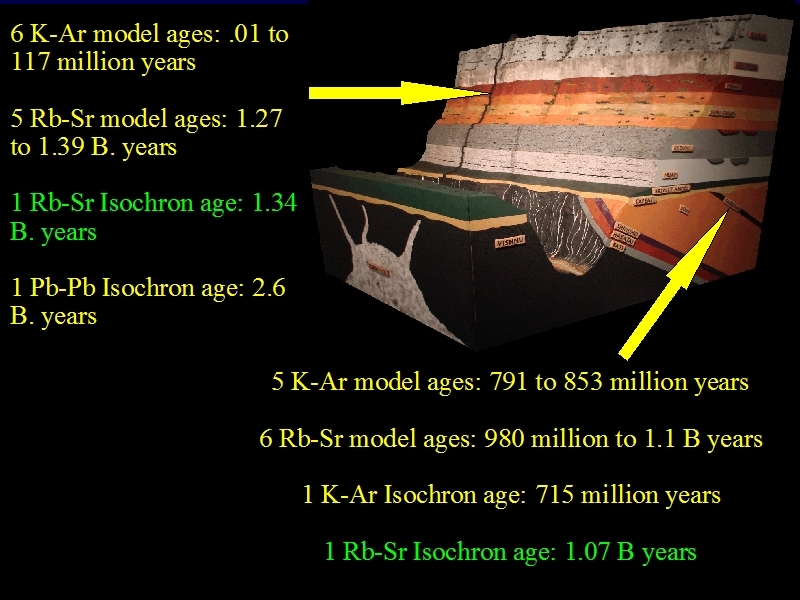 Clearly the plateau flows are younger, yet the R-S isochron methods gave it an older age of 1.27 billion years compared to the Cardenas basalt which gave an isochron age of 1.1 billion years at most! religious rituals. 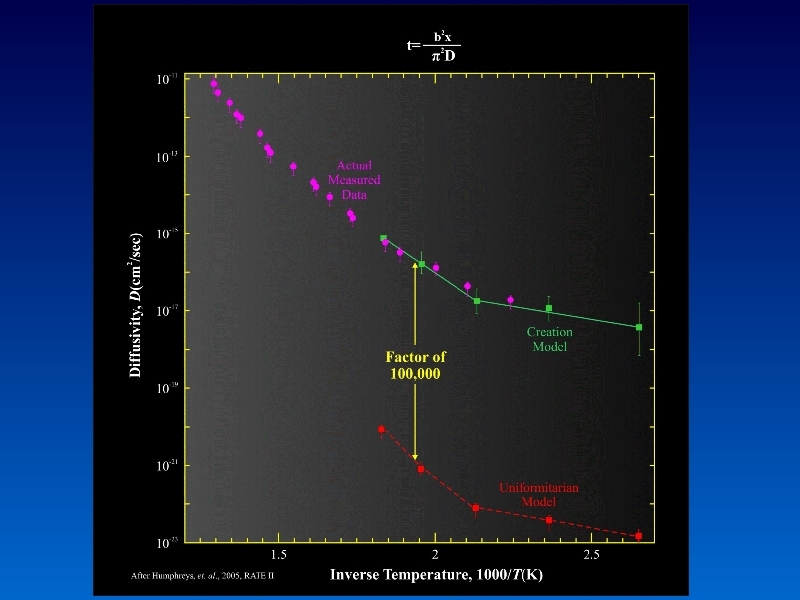 Therefore we know that those lavas flowed roughly 800 to 1,000 years ago, and the R-S isochron method (deemed one of the most reliable radiometric dating methods ever produced) is completely unreliable – not even close. As John Woodmorrappe put it, if those who believe in deep time are free to reject the dates that don’t line up with their preconceptions, than so are we. Incidentally, this brings me to another fantastic book on this very subject, “The Mythology of Modern Dating methods”, which I’m sure you would also enjoy very much. John is a methodical researcher and an excellent writer. Creationists had been criticized for years for pointing these problems out. We were told to “make your own dating methods then,” which we did, and this was part of the RATE project. Dr. Robert Gentry mentioned an anomaly in his research on zircons found in granites many years ago. (Gentry, R.V., 1982b, Geophysical Research Letters 9, 112, “Differential Helium Retention in Zircons: Implications for Nuclear Waste Containment.”) He noticed that the helium produced by the radioactivity of Uranium in the zircon crystals was retained within the crystal. Helium, because of its small atomic size, is quite free to leave the crystal, yet there was an excess of helium within these supposed “2 billion year old crystals.” 2 Billion years was certainly enough time for the helium to leak out of the crystal! The green bars represent the helium diffusion rate prediction for a 6,000 year old earth, the red bars are the predicted diffusion rates for the 2 billion year old age assigned to the granite the zircon crystals were removed from. The difference between the two is a factor of 100,000 – obviously this removes a lot of experimental error. This brings me to your first question, which ties in to all of this. Why is there no long half-life isotopes? The amount of helium in the zircon crystals suggests that “2 billion years” of radioactive decay has gone on within the crystal; yet the crystal has only been leaking the helium produced by that radioactivity for a mere 6,000 years. Therefore they concluded that radioactive decay rates in the past were faster than present. To be more specific, the decay rates were inversely affected: the longer the half-life of the isotope, the more its half-life was accelerated. The shorter half-life isotopes had little change to their decay rates. This throws out all of the old-earth dates that are produced by the various radiometric dating methods, as the assumption that decay rates have always remained the same is untenable. I have only given you a sampling of some of the overwhelming evidence that at sometime in the past, decay rates were radically faster than the present. There’s much more to this which I won’t get into now because I’ve already gone on long enough here. This was published in Creation magazine, Volume 19, Issue 3.
layers. In short, assumptions are simply not fact. On behalf of Dr. Baugh and the folks at the Creation Evidence Museum, thank you for writing, and I’m glad to hear you and your wife enjoy “Creation in the 21st Century.” I hope I have answered your questions. Feel free to email me directly if you have any others, and I’ll see what I can do.